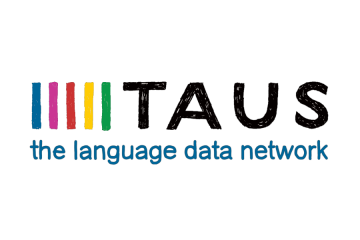 Amsterdam, January 22, 2019 – TAUS publishes the first DQF Business Intelligence Bulletin for the translation and localization industry. The TAUS Dynamic Quality Framework was developed in 2012 with a goal to connect the professionals and the companies in the localization space with their data and help them extract business intelligence to guide the growth of their businesses. It has now become the de facto translation quality assurance (TQA) standard in the industry with around half a million words being processed through the DQF plugin daily. The DQF data accumulated and processed over the years has reached the point where it can be used to inform strategic business decisions. With this quarterly bulletin, TAUS brings the most interesting trends in the DQF API data to the attention of the translation and localization industry. With more than 150 million words and the many data points that DQF has collected up to now, there is a multitude of conclusions to draw about translation productivity and quality. DQF data is the source of information for diverging topics such as the average translation throughput per hour, edit distance during translation and translation quality, and offers the possibility to compare numbers based on MT engine, segment origin, quality level and many other properties, and even to benchmark company averages against the prevalent values in the industry. From the interaction with the field, TAUS gets a better understanding of the KPIs that quality managers would like to track. Edit density and productivity turn out to be meaningful data points to estimate translation effort. These are the data points that form the focal point of the very first edition of the TAUS DQF Business Intelligence (BI) Bulletin series, serving as a barometer for buyers, providers, and producers of translation around the world. The first TAUS DQF BI Bulletin can be freely downloaded here. To receive the quarterly TAUS DQF BI Bulletin in your inbox, sign up for the TAUS Newsletter.